Barkzilla: A Savvy NYC Dog Blog: Barkzilla Reader Giveaway: Just Right by Purina + PrideBites! 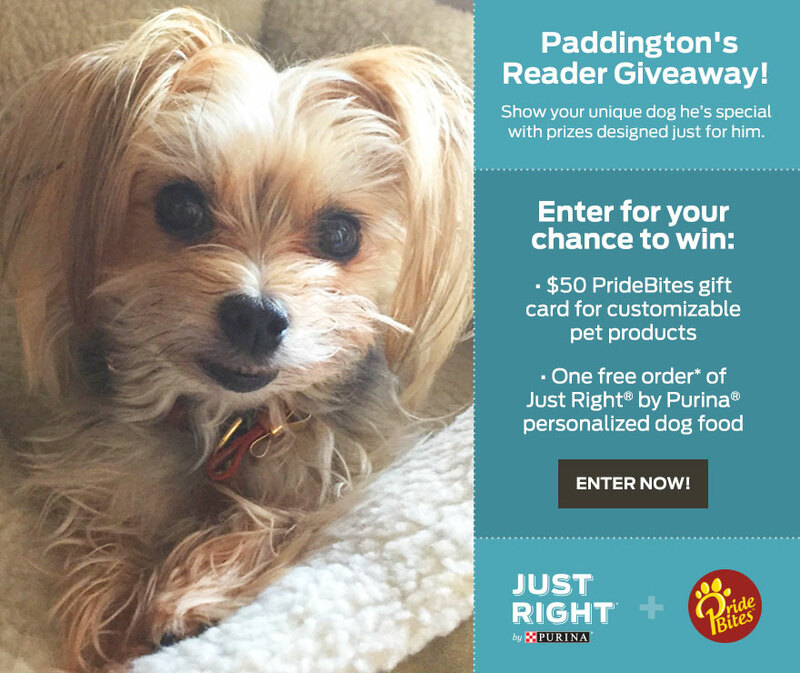 Barkzilla Reader Giveaway: Just Right by Purina + PrideBites! We are super excited to announce that we are hosting a very special Barkzilla reader giveaway in celebration of Pet Wellness Month courtesy of Just Right by Purina and PrideBites! Last month, the Just Right team surprised us with an amazing care package on National Dog Day, and now they're letting us share a special gift with one of our readers! One lucky winner will receive free order Just Right by Purina personalized dog food (up to $68.95 value) and a $50 PrideBites gift card! Thanks Just Right for this awesome portrait of Paddy! Not familiar with Just Right? It's an amazing offering from Purina that is personalized based on your dog's needs! We've blogged about how great we think it is (here), and also been one of their featured Bloggers of the Month! They also introduced us to PrideBites which offers super cool customized swag for your dog - we recently received a gift card which we used towards a snuggle blanket for Paddington and cannot wait to see how it turns out! They also have adorable toys and clothes for dogs of all sizes. Winners will be announced within 24 hours of the giveaway end (10/26/16 12:00 AM ET), and don't forget you can enter every day! Good luck! Disclaimer: This post is about a giveaway that has been sponsored by Just Right by Purina and PrideBites. We received compensation for hosting this giveaway on behalf of the sponsors. we always celebrate wellness month by making sure we are always as healthy as possible! I am doing the same as all the other months in the year- trying to make sure my pet is as healthy as she possibly can be! 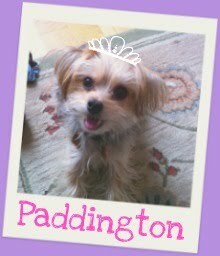 I entered with Facebook account "Amie De"
Making sure my baby gets healthy food and treats like I give her all year round. Thank you for the chance.